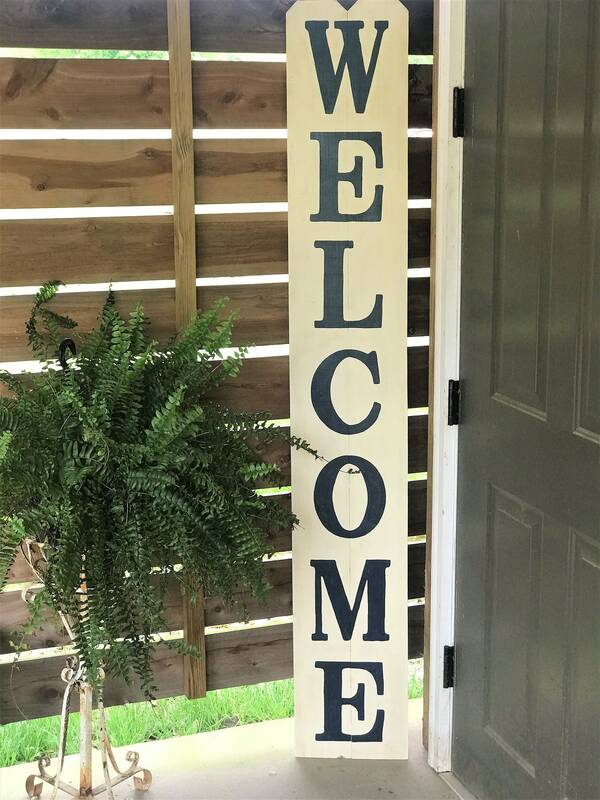 These beautiful WELCOME signs are sure to add southern charm to your front porch or entryway. They are a great way to add a pop of color or an eye catching statement. At 6 ft. tall, they are large enough to be seen from a distance, but at approximately 12 inches wide, they are narrow enough for even the smallest porches. They are made from reclaimed cedar and are finished with an exterior grade sealant. Due to wood having unique characteristics, it may have slight imperfections, which I feel add to the rustic look and give each piece character. 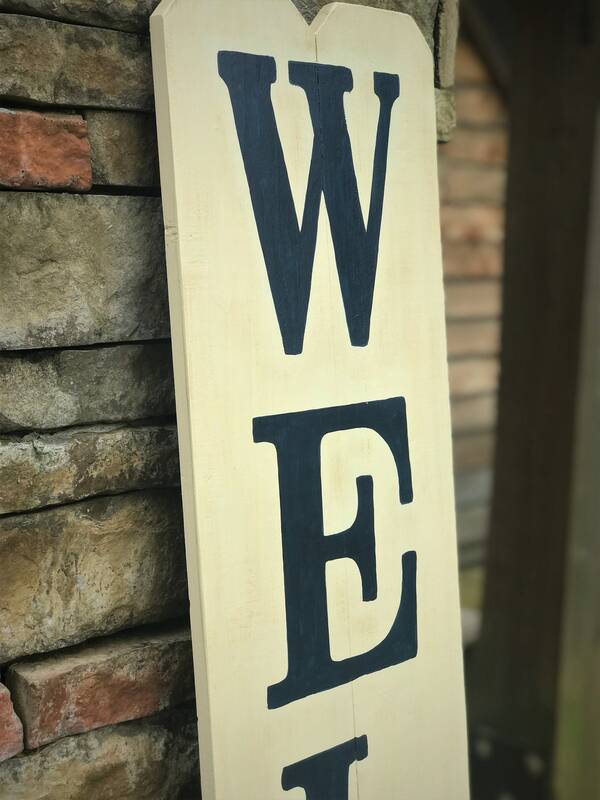 I hand pick the best wood for each sign and try my best to make sure your sign will be a great statement piece. 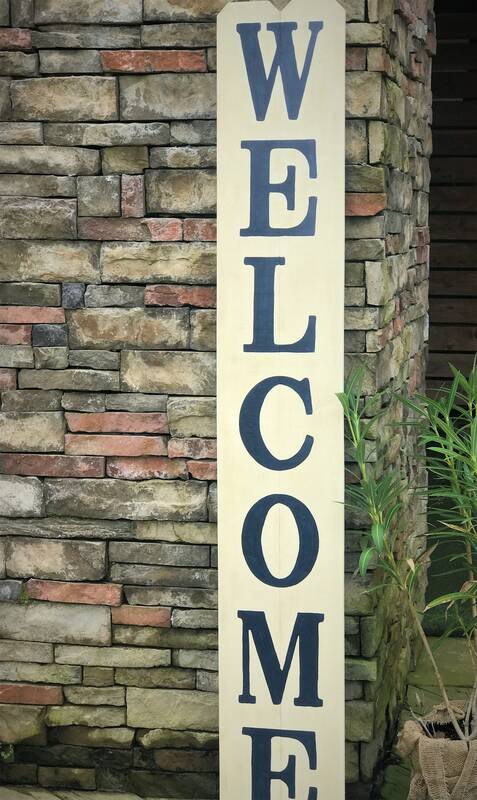 Even so, there may be minor imperfections or a slight bow that is typical with outdoor wood. 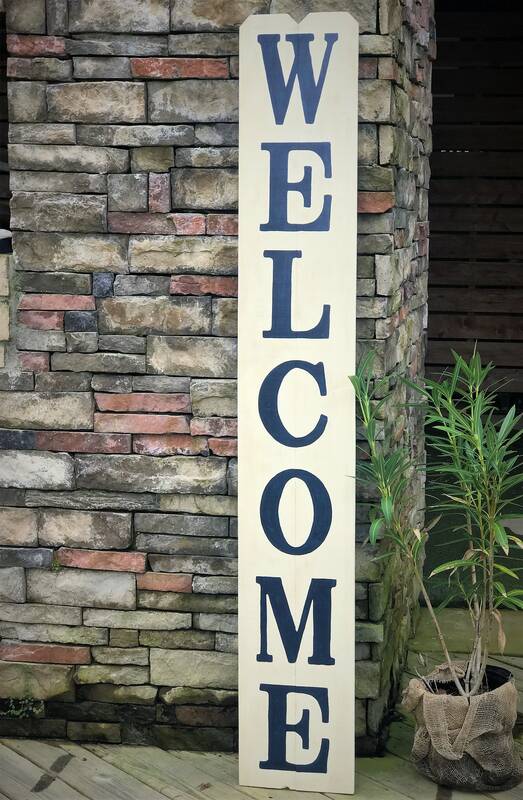 - This particular sign is antique white/ivory as the base and the lettering is painted navy blue. My signs are always 100% hand painted and vinyl is never used. Not the colors you were wanting? Just contact me and let me know what you need! 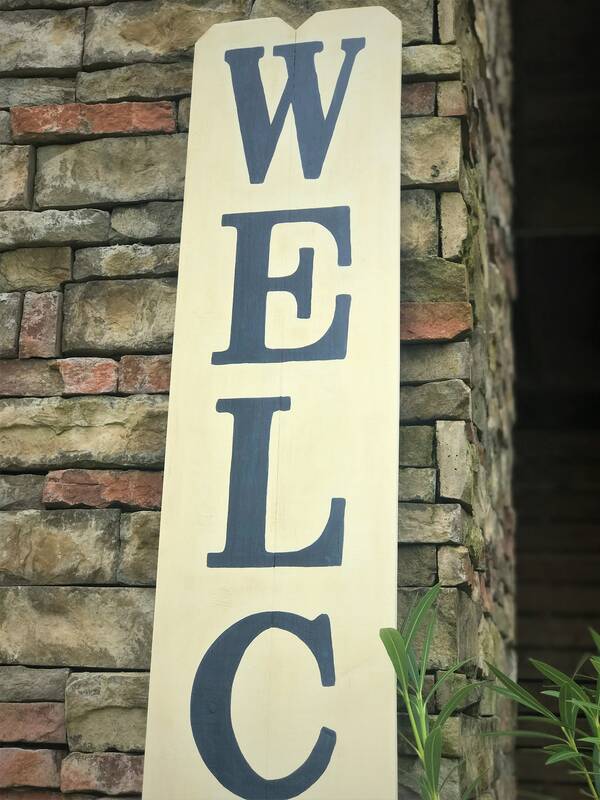 All signs can be painted the color combination you would like.